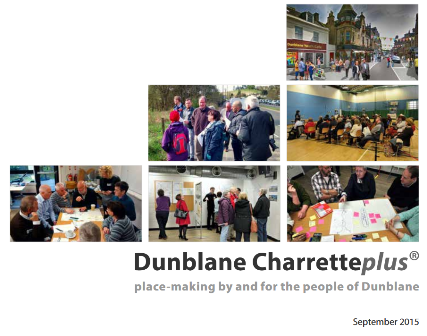 In 2015/16 Dunblane Community Council, Dunblane Development Trust and Discover Dunblane came together to turn the results of the Town Centre Charrette into a Community Action Plan which it is hoped will bring improvements and new activity to Dunblane. Dunblane's previous Action Plan had expired at the end of 2014, after much had been achieved. It is hoped that the draft Community Action Plan reflects the needs of Dunblane – residents, businesses and visitors – and that the actions are aspirational but achievable. 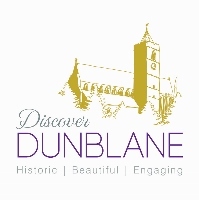 The draft Plan shows what the community wants to achieve – and will help to get other partners involved, raise funds for new projects – and get the wider community of Dunblane involved. The Town Centre Charrette : What Happened? Why a Charrette and why the Town Centre? Over the past 40 years Dunblane’s community size and needs have outgrown its centre. It was hoped that the Charrette would help define, design and develop our town centre to appropriately support the whole community through business, service and leisure amenities over the next 20 year. Also, the Stirling Local Development Plan has a stated intention to create a Spatial Strategy for Dunblane town centre and “environs”. A Charrette leads to an action plan that guides the best use of available resources. With funding from the Scottish Government Charette Programme we were able to hold the Charrette in April 2015. What happened in the Charrette? In March, working with PAS our consultants, we held a series of preparatory exercises included a survey, “issue raising” community workshops and activities involving school children. Local people attended a 4 day event (the Charrette) in April to generate ideas for designing the future of their town centre by addressing several questions including: How could it function as a focal point for community interaction? What should its boundaries be? How could the spaces within those boundaries develop to satisfy future community need? Capitalising on our natural and built heritage. Meeting the future needs of the community. What happened after the Charrette? A report was published in September and the Steering Group (now called the Dunblane Community Partnership) has been considering the report and developing a draft Community Action Plan. 1. A Vibrant and Sustainable Town Centre for People and Community Activity - concerned with the promotion of the town centre and its facilities. 2. An Accessible Town Centre - concerned with walking and cycling, parking and public transport.